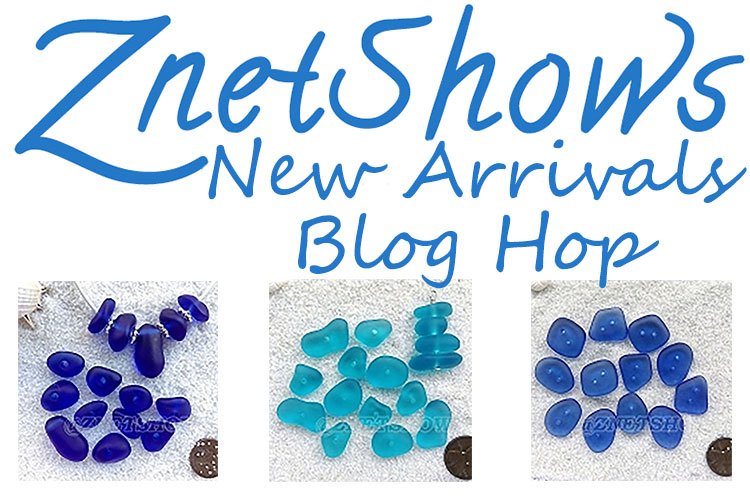 Late last month Hope Smitherman sent out invitations for a mini Blog Hop and Challenge using some of ZnetShows newest cultured sea glass styles. 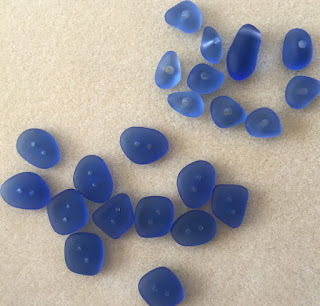 I love sea glass, so saying yes was really easy. We were invited to chose from three different styles - two were different types of 'nuggets', and the third were two-hole buttons. I decided I HAD to work with the buttons, then debated my second choice before falling in love with the central drop pendant in this set. When the beads arrived, I discovered that the thread holes in the pendant set were large enough that a size 11 seed bead could slip right through. 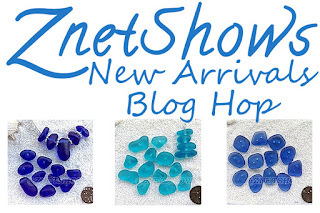 I was tempted to find some way to use them so that they laid flat in the design the way they do on my beading mat in this photos, but couldn't quite come up with a solution I liked this time around. Which is kind of funny, because that's how I decided to use the buttons. 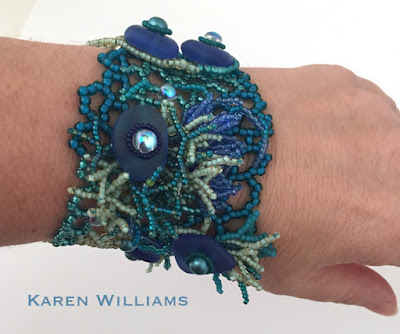 The flat, rounded shape of buttons, with their smooth surface, reminded me of skipping stones, so I decided to make a summer beach cuff where they'd act as the main focal. 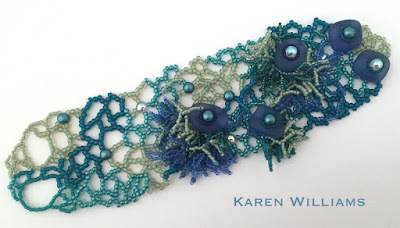 Using size 8 seed beads to create a chunkier than normal base, I first stitched a Lacework Cuff using random right angle weave. Then it was time to add additional buttons for surface texture. Adding one button at a time, I then worked several layers of sea-frond fringe around that button before moving on to the next. 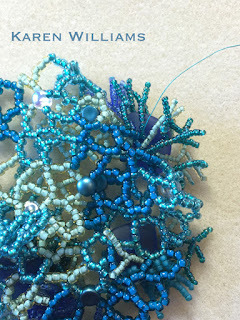 In the end, I decided I liked the way the cuff looked with only half of its length embellished. It's designed for the buttons to be worn on the outside edge of the wrist. This way, the underside of the wrist just has a flat band; less likely to catch on clothing and such. It's hard to photograph on my own wrist, but here's the idea. So I finished the cuff, time to do something with the drop pendant. I wanted to use for a summer necklace of 'beach treasures' that looked nice enough to wear to a evening out. 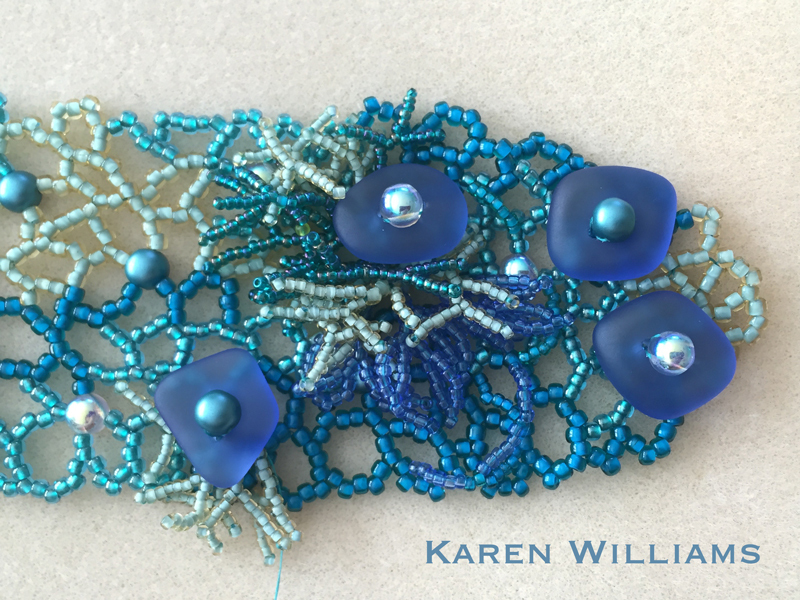 I ended up doing some simple bead stringing with size 15 seed beads and a couple different styles of two-hole beads. 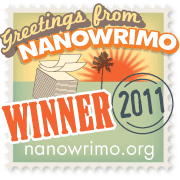 Isn't the seaglass pendant pretty? I wanted a very simple necklace that let it shine. Hi Karen! 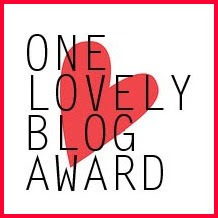 I love your pieces! 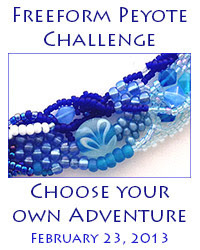 They are so redolent of the sea, the bracelet especially, which is perfect when using this type of bead! 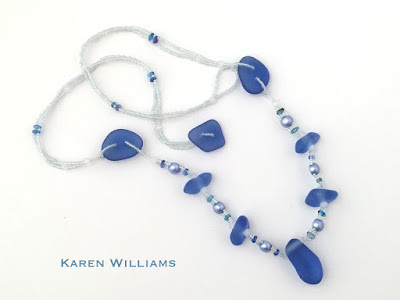 I also love the way you used the two hole button beads in the necklace. It looks great as a link but it is also featured so well! Your bracelet and necklace are lovely. Well done! Your skill with seed beads always makes me gasp! I love, love the colors you used in the bracelet - reminds me of waves. And the buttons with the fringe, so fun! I agree that using them on only half was a good idea. It makes it easier to rest your hand/wrist down without the chunkiness. Your necklace is also divine. The simplicity of it makes it so versatile! I agree, your skill with seed beads is awe inspiring. I love the bracelet with the buttons and fringe! Reminds me of the sea! And your necklace is stunning in it's simplicity. Well done! 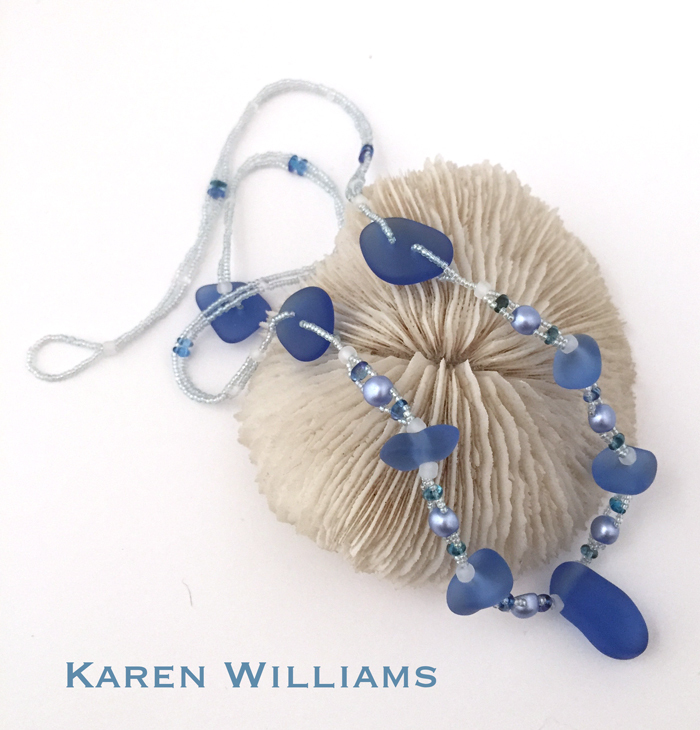 Seed beads work so well with the sea glass. Love both the bracelet and necklace. Karen, your work just amazes me..BEAUTIFUL!!.. 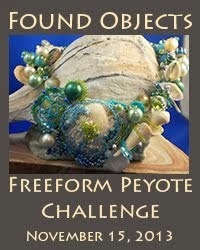 I really love the freeform peyote bead work. I want to give that a try sometime! That bracelet is truly incredible! 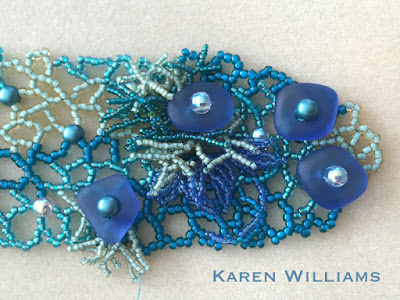 Makes me wish that I had the patience (and eyesight) to work with seed beads. The necklace is just yummy. Perfect for a dinner out. 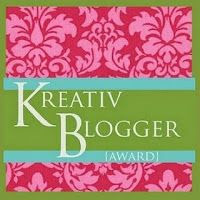 love the designs Karen! 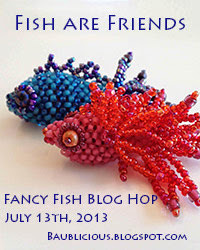 I always love to see your freeform work - it's fantastic! Hi Karen, Your bracelet is totally AWESOME! The necklace looks very wearable. Karen - that cuff is to.die.for! WOW! And it's funny that you mentioned that the bottom is flat.... I had a show this weekend and we talked about how alot of working women don't wear bracelets because it's too hard to type with them. So, good on ya for thinking of that! It's a real STUNNER! Karen, your seed beading is fantastic! Wow! I love that cuff & how you added on to it. What a fantastic idea. I'm working on a seed cuff at the moment because you & Amy both have inspired me! Thanks a bunch!